Water companies are still not doing enough to protect streams and rivers, the Environment Agency reports. It says whilst general water quality is higher than it’s been for 100 years, the number of the worst pollution incidents has actually grown. Most of these involved raw or partly treated sewage flowing into watercourses. The industry body, Water UK, says its members will have invested around £25bn by 2020 to protect the environment. Pollution incidents have continued, though, and often in the past wealthy water utilities appeared to shrug off relatively small pollution fines. Now, after an appeal by the agency, sentencing has been revised and last year fines for pollution totalled £21m. The agency’s new report says urgent improvement is especially needed from South West Water. It also says Northumbrian Water hasn’t properly controlled pollution from industries in its area. The report says there is no firm pattern among the pollution incidents. The main factors are inadequate monitoring and management, and shortcomings in risk assessment, operational practice and the attitude of staff. Thames Water, meanwhile, was the one company that failed to meet the security of supply measure. This is partly down to on-going failure to plug leaks. The government’s infrastructure advisers have warned that more must be done to protect people in the south east from drought as the population grows and the climate warms. Ms Howard Boyd says all firms need to improve their planning for climate change in anticipation of more droughts and more floods through the year. Michael Roberts, chief executive of Water UK, responded: “This report rightly highlights that the majority of the companies in the sector have a ‘good’ or ‘leading’ performance when it comes to protecting and enhancing the environment. 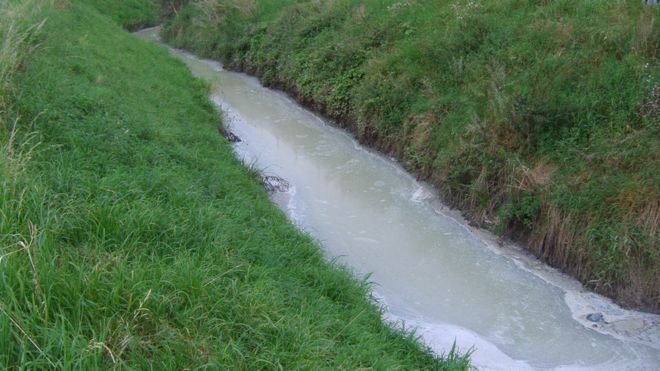 Northumbrian Water says its record on sewage pollution incidents is good. But Richard Warneford, wastewater director, acknowledged: “Our performance on Discharge Permit Compliance (for firms emitting pollution) was disappointing this (last) year. South West Water says it fully recognises that more needs to be done. It has an action plan in place to drive improvement, the company adds.